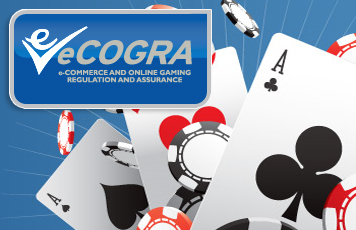 London, 10 June 2008 – The online gambling player protection and standards organisation eCOGRA has announced a change to its 7 person Board of Directors, in which Chris Hobbs, Head of Corporate Affairs at Microgaming replaces Roger Raatgever as one of the Founder Directors of the independent, non-profit body. The other Founder Member seats are held by bwin and 888.com. Under the eCOGRA charter, the Board currently consists of three Member Directors and four Independent Directors. The Independent Directors, to whom CEO Andrew Beveridge reports, are solely responsible for the executive control of eCOGRA and the activities of its powerful Seals Compliance and Audit Committees, which test and monitor “Safe and Fair” seal operators and control the award, review and if necessary revocation of the seals. Chris Hobbs (45) is the senior executive responsible for corporate affairs at the Isle of Man-based Microgaming head office. Educated at the prestigious Kearsney College in South Africa and the University of Natal, he holds Bachelor degrees in Commerce (business finance, business administration and business data processing) and Science (pure and applied chemistry). Prior to joining Microgaming in 2005, he held management positions at Sentrachem Limited in the chemical industry, and as a corporate banking executive for Absa Bank in Johannesburg and London. eCOGRA’s chairman of the Board, Michael Hirst OBE welcomed Hobbs and thanked Raatgever for his invaluable services to the organisation since it formed in 2003.